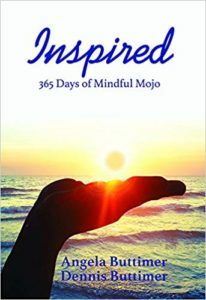 ORDER our latest book, Inspired: 365 Days of Mindful Mojo. To ORDER copies of the book, click the “Buy Now” button below. You will be able to add additional copies of the book on the next page. 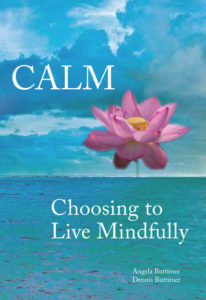 Thank you for your interest in our first book, CALM: Choosing to Live Mindfully. To purchase copies of the book,click the “Buy Now” button below. You will be able to add additional copies of the book on the next page. 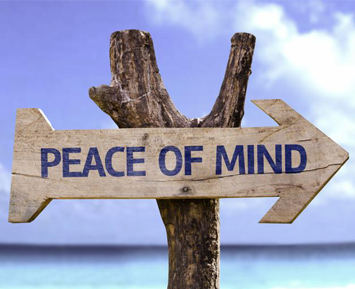 Thank you for your interest in our CD, CALM: Guided Meditations. To purchase copies of the CD, click the “Buy Now” button below. You will be able to add additional copies of the CD on the next page. 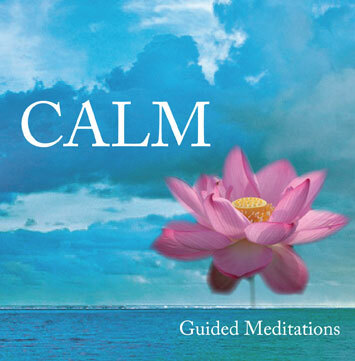 Thank you for your interest in our digital download, CALM: Guided Meditations. To download MP3s, click the “Buy Now” button below. 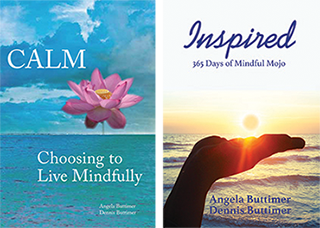 Download Guided Body Scan and Sitting Meditation for only $6.95. I have loved and valued many spiritual books but “Calm” was the first one that I ever dog-eared and highlighted. That’s because there was so much that I wanted to reflect on and put into practice. Calm is a beautifully written book that provides practical stategies on how we can live our lives with clear sight, compassion and joy! I give this book to show that I care; and know it will help anyone who reads it find some quiet and clarity. I highly recommend purchasing the accompanying meditation CD as well. Being mindful is not easy but with a good guide like this book, you can learn the discipline and benefit from it. Angela’s voice is very soothing and calming.